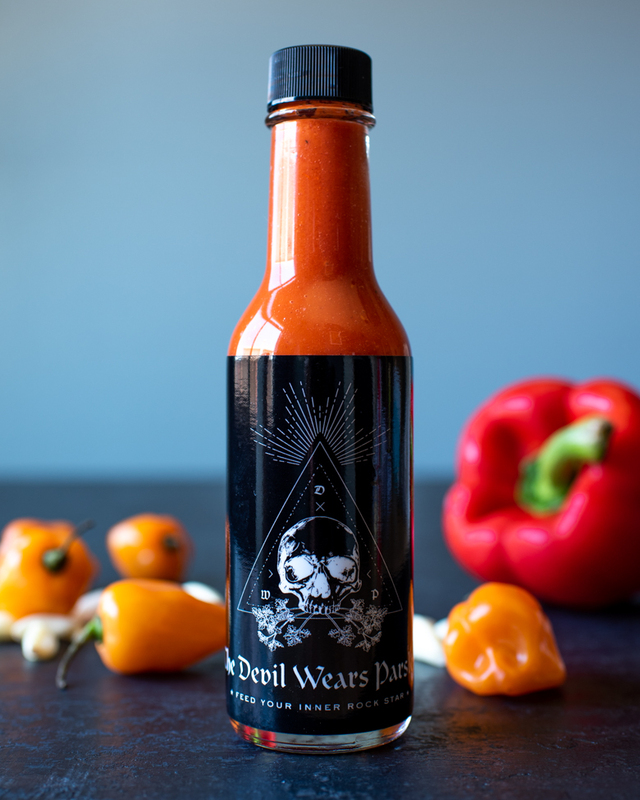 Red Macabre Hot Sauce from my Demo at the Orange County Fair! 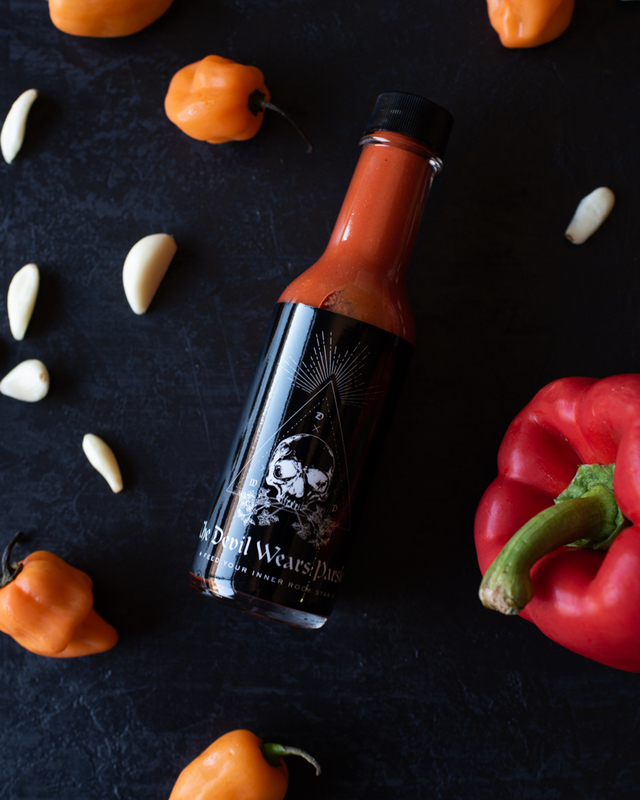 Curious to make your own hot sauce? Here is my very own recipe that I demo’ed at the Orange County Fair! I hope you enjoy! Over medium low heat, add the olive oil, onions, and sugar. Stir every few minutes, making sure not to sear the edges of the onions, until they are translucent and a nice golden brown color. This takes about 30 minutes. To a blender, add all of the ingredients. When the onions are done, add in the caramelized onions, and blend. Transfer to a bottle or container, and keep in the refrigerator until ready to use. 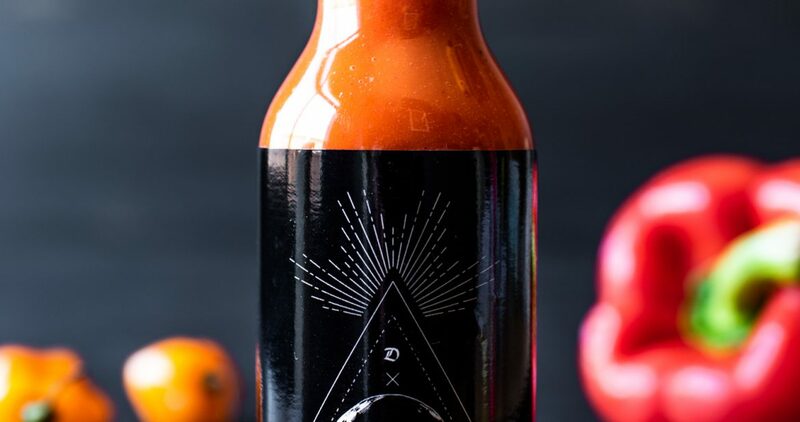 This hot sauce is not intended to be shelf stable. This is meant to be put in the refrigerator, and used immediately. 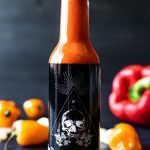 If you let this sit out for prolonged amounts of time, bacteria could proliferate and cause you to become very ill.
That is a gorgeous looking sauce. 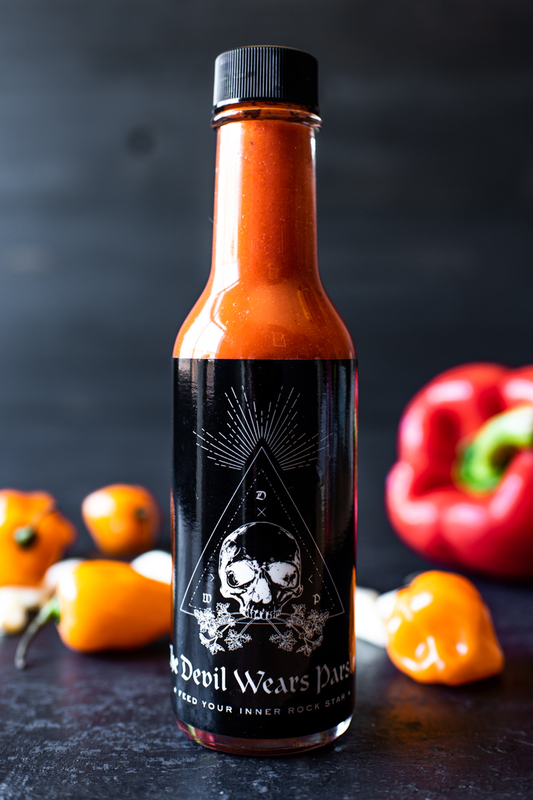 I am wondering if I could substitute the habanero pepper with a less death-defying heat level pepper? Do you think this recipe would still taste as good? You were a rockstar on stage at the Fair! So glad you live streamed it to FB so everyone has a chance to see it!